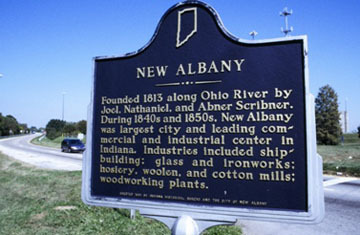 We love New Albany Indiana. It is a beautiful place and we do computer service for several businesses in downtown New Albany and are there on a regular basis. We also serve Georgetown, IN, Greenville, IN and surrounding areas in Floyd County, IN. Free pick-up and delivery for all computer repairs in Floyd County. No trip charge for on-site computer services in New Albany. I’m in the area a lot and have done multiple projects for customers there. Please call and we can do pick up and delivery or come to your location in Indiana for no more than customers in Louisville, KY pay for laptop repair, desktop computer repair, business computer service, hard drive replacements, operating system upgrades, file system errors printer set-up or anything else you need.